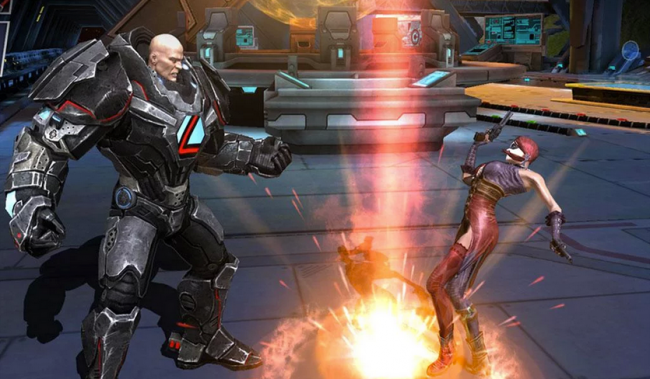 A heavy title hit Google Play this week, Warner Bros. and DC Comic’s Injustice: Gods Among Us. If you watch TV, you have probably seen a commercial or two for it, as it is being published on multiple platforms, including full consoles like the Xbox 360 and PlayStation. In the game, you create a tag team of your favorite heroes or villains, then pit them against another team. It’s essentially the same Mortal Kombat, Street Fighter, and Marvel vs. Capcom scenario we have seen over and over again. What’s nice is that the game is initially free, although it does feature IAPs for special booster cards which make your fighters even stronger. If you want special ending moves, you will more than likely have to purchase them, as well.